Elbow Saskatchewan for your summer vacation. Visit the West Central region, home to parks and lakes, as well as a variety of small towns, each with their own individual charm. Be sure to stop by NorthBattleford, where you can enjoy a variety of outdoor activities, or Lloydminster, Canada's only border city. Visit the 1876 district headquarters for the Northwest Mounted Police, the Western Development Museum and Pioneer Village, or the nearby historic town of Battleford. Recreational activities such as golf, skiing, fishing and nearby provincial and regional parks make this a wonderland for the outdoor enthusiast. Visit Saskatchewan's border city, Lloydminster, and get a real taste for small-town life with all the amenities of big-city living. 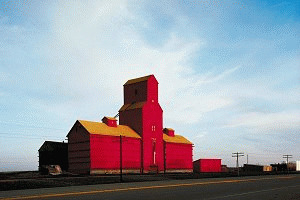 Lloydminster's major industries include oil and agriculture.